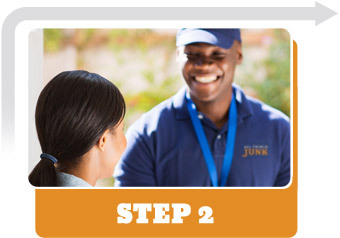 Use our easy online appointment form to set the date, time of day, and location you need junk pickup at. You can also call us toll free at 1-800-233-15761-800-233-1576 if you prefer. Our courteous, professional staff will show up where and when you need them. Just show them the junk and garbage you need taken away, and they’ll do the rest. 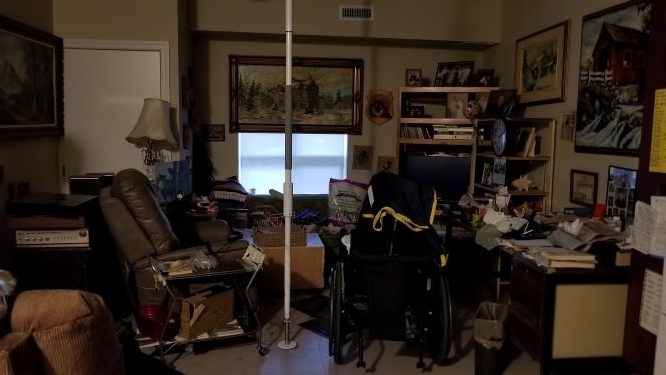 Relax and enjoy, knowing that the clutter and junk has been taken care of by our licensed and insured staff. We recycle and donate whenever possible, so you can feel even better about choosing All Things Junk. Pricing includes all labour and disposal.All Prices are Estimates. Rental prices include drop off and pickup. All Things Junk is a professional, licensed, and insured junk removal company serving Windsor and Essex County, also Chatham-Kent. 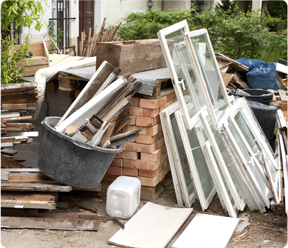 We can take away almost anything, including construction junk, demolition debris, appliances, electronics, metal, wood, or just about any garbage from your home, garage,basement, or yard. 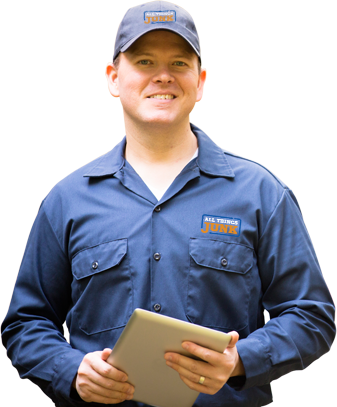 We are experts in junk removal, demolition cleanup, furniture removal, appliance pickup, waste bin rentals, and more. 8, 14 & 20 Cubic Yard Bin Rental 8,14 & 20 cubic yard bins available for a flat fee. 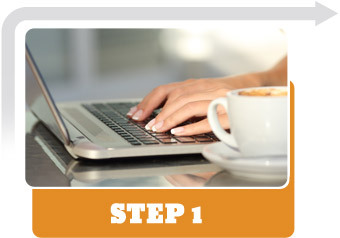 We charge a flat fee, no more confusing credit card deposits, unknown tonnage or fuel service charges etc etc. 8 cubic yard great for concrete, fill, backyard or garage clean outside. 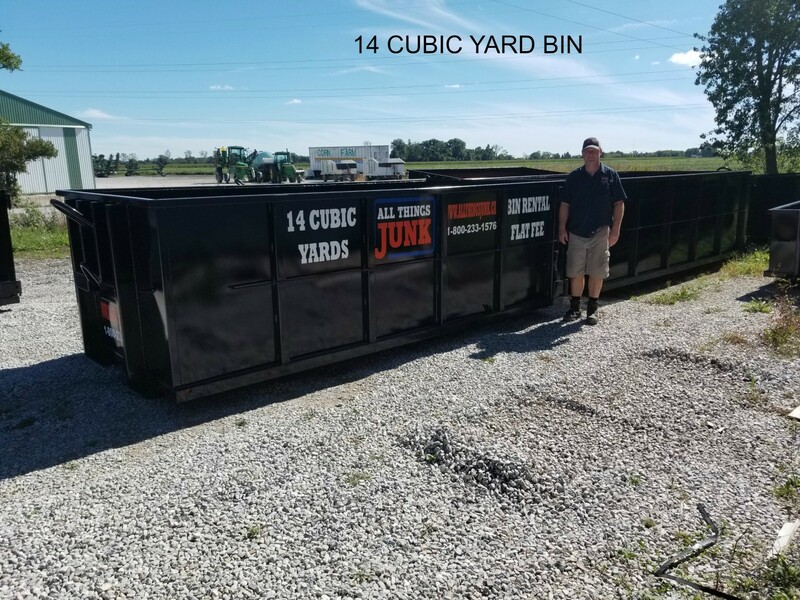 14 cubic yard perfect for basement, attic or estate clean outs. 20 cubic yard great for whole house clean outs, tenant evictions or commercial removals. Serving Windsir and Essex County. Give us a call at 1-800-233-1576. Thank you. All Things Junk.